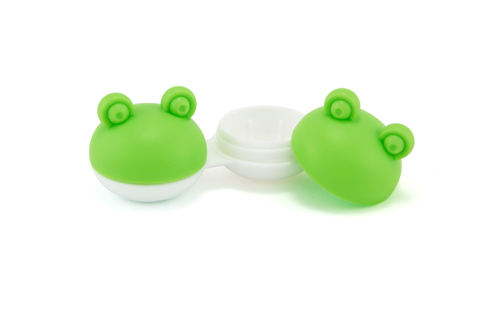 These cute contact lens cases are suitable for use with all kinds of contact lenses. The frog-shaped container will look great in any bathroom. Please note that this contact lens case is only suitable for use with all-in-one solutions - not to be used with hydrogen peroxide solutions!